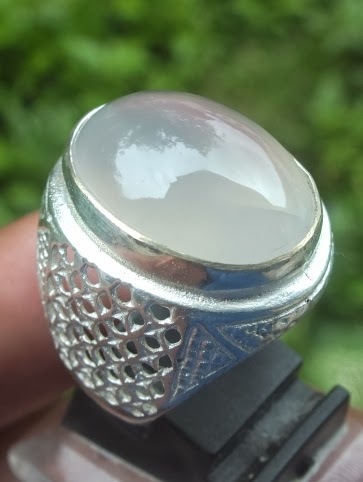 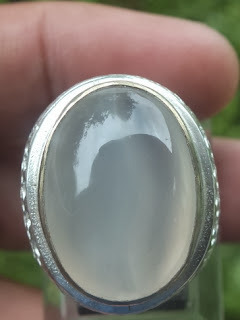 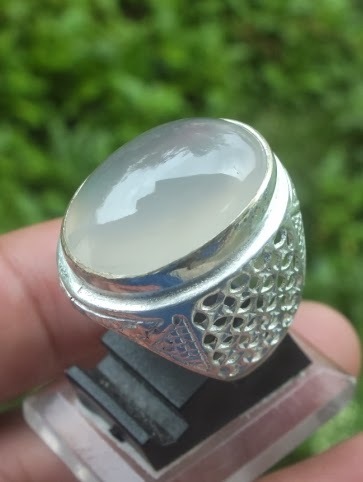 This is a very beautiful Natural Chalcedony agate from Java, Indonesia. 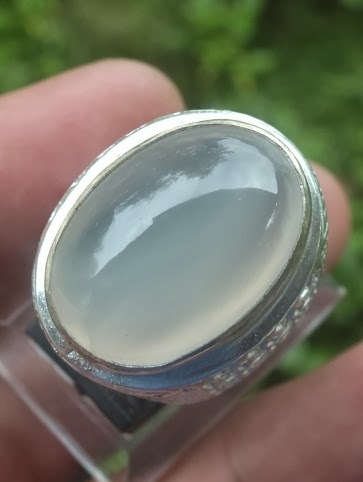 This nice agate is already set on a good 19mm alloy ring. 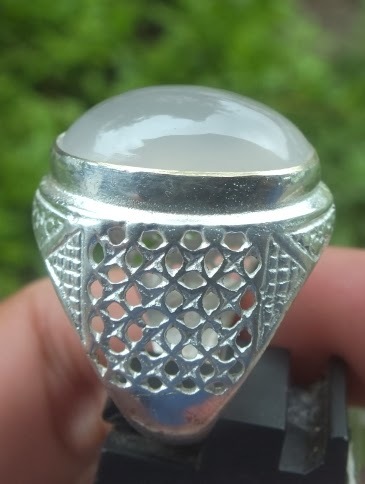 The size of the gemstone is (est) 20mm x 14mm x 10mm. A very beautiful natural Agate Chalcedony for your precious gemstone collections!